Why did you want to write about the French Revolution? The contradictions in it intrigued me. The Revolution started out so full of optimism and hope, but ended in the most appalling violence and bloodshed. The irony was that the price of the freedom the revolutionaries sought resulted in the very opposite: vigilance and persecution by the revolutionary police. But so much was achieved, too, in a relatively short time. Through vast political upheavals, the French Revolution forged the beginning of the modern world and the rights of the individual. The role of women interested me, as well. There were passionate, articulate women from all classes who managed to be extremely influential. Why did you decide to write about an aristocrat, Eugenie de Boncoeur, who is the daughter of a Marquis, rather than an ordinary person? There are so many stories that could be written about the French Revolution, and each one would be different, depending on the point of view of the protagonist. I’m interested in ‘riches to rags’ stories and how people cope in utterly changed circumstances. As a child I loved Frances Hodgson Burnett’s A Little Princess, in which the rich young heroine becomes a pauper and outcast, and has to live in the attic above her boarding school. Eugenie has to face extreme danger as well. It’s not the only thing that The Pale Assassin is about, but I think it was what fuelled my initial thoughts about the story. The Scarlet Pimpernel by Baroness Orczy is a famous novel, first published in 1908, but still in print. It has been filmed and televised many times. ‘The Scarlet Pimpernel’ was a sort of early Superman, and like Clark Kent, had two different personalities: the languid English aristocrat, Sir Percy Blakeney, was secretly a daring adventurer who disguised himself to save those condemned to be guillotined during the French Revolution. My ‘Pimpernelles’ are a tribute to the essence of The Scarlet Pimpernel, though the books are not only about rescues, and the two girls are rather different from Sir Percy! 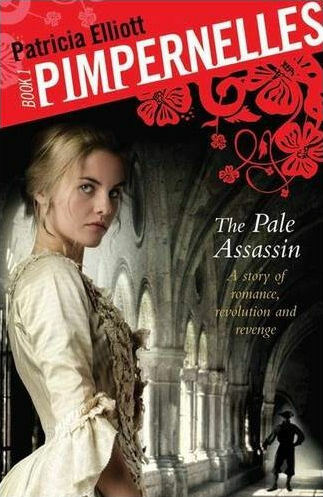 In The Pale Assassin, Eugénie is not particularly brave or daring – certainly at first – and the fact that she rescues anyone is more by accident than design; but she is quick-witted and resourceful. She will also do anything to rescue her beloved brother, as you will see in the sequel, The Traitor’s Smile. In this story she meets her English cousin, Hetta. Hetta is headstrong and impetuous. She believes passionately in the principles of freedom and equality for all men and women, but has little idea of the dark undercurrents of the Revolution and the turmoil and bloodshed they have caused – until she finds herself stranded in France, suspected of being a spy. Why did you decide to make The Traitor’s Smile a sequel? I hoped there was going to be a third story in the ‘Pimpernelles’ series! I’m really sorry if you were disappointed. It just turned out that way. 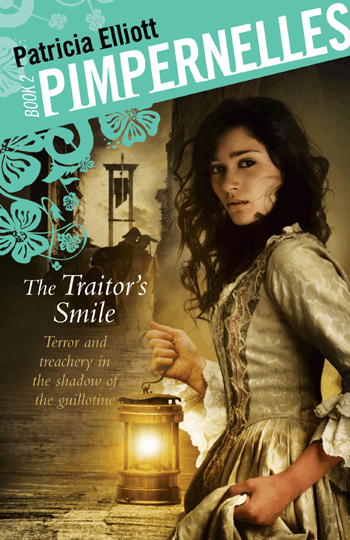 As I was writing The Traitor’s Smile, Eugenie and Hetta’s story seemed naturally to end at the end of that novel. The final chapter is set in the winter of 1793, and the Terror itself only lasted until July the following year -although France was in a state of turmoil for some time to come. I’ve loved writing about the French Revolution, though, and perhaps I’ll return to it one day!